11 newspaper cuttings about the rescue of Kenneth MacClounnan, Balephuil, by his girlfriend Christine MacFarlane, when their fishing boat `Travee`, skippered by Kevan Brown, Balephuil, sank in Gunna Sound in 1991. 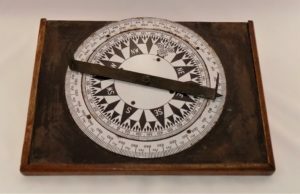 Bound within a `Silk Cut Nautical Awards` folder. 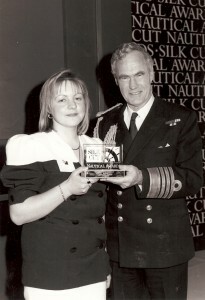 Christine was presented with the award for her bravery at the Dorchester Hotel in London in 1991 (see photo R125 and object 2012.74.2). 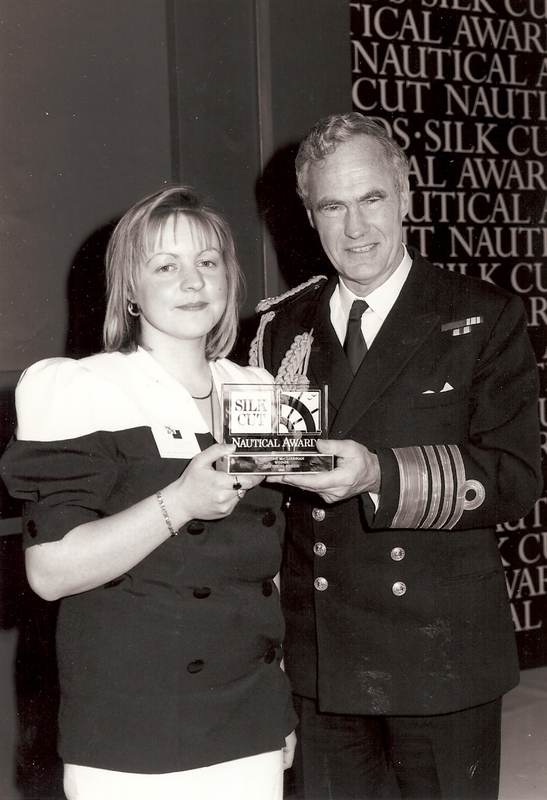 Black & white photograph of Christine MacDonald (MacClounnan, nee MacFarlane) receiving a Silk Cut Nautical Award at the Dorchester Hotel in London in 1991. Christine rescued her boyfriend Kenneth MacLounnan, Balephuil, when the fishing boat `Travee`, skippered by Kevan Brown, Balephuil, sank in Gunna Sound in 1991. (see also newspaper cuttings 2012.74.1 and award 2012.74.2). Coastguard Long Service medal with presentation box. Coastguard Long Service medal presented to Murdoch MacLean, with presentation box with spare ribbon. Coastguard Auxiliary Service badge and H.M. Coastguard Coast Life Saving Corps badge belonging to Murdoch MacLean. Black and white photograph of the Coastguard Hut in Balevullin with Mary MacLean and Maggie Richardson. 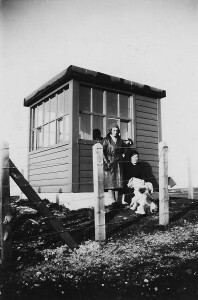 The Coastguard Hut in Balevullin in the 1930s or 40s. L-R: Sisters Mary and Maggie MacLean of Balevullin with Toby the dog. Black and white photograph of the Coastguard Hut in Balevullin with Maggie Richardson in the 1930s or 40s. 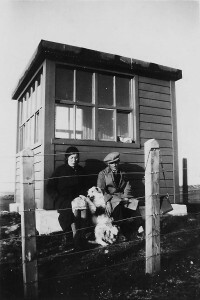 The Coastguard Hut in Balevullin in the 1930s or 40s. L-R: Teacher Maggie Richardson nee MacLean of Balevullin with unknown man. Audio cassette recording of Iain MacDonald of Balevullin talking to Maggie Campbell on 9/10/2001. Iain MacDonald of Balevullin talks to Maggie Campbell about his childhood memories of Tiree, how people were more self-sufficient, growing potatoes, milking cows and churning butter, helping his uncle Murdoch, a butcher, deliver meat around the island in a pony and trap, the community spirit of shearing day, picture night at the Reef, coastguard drill and some of the people of Balevullin; Iain also discusses his work as a Highland dancer, judge and piper at the Highland Games.